Regarded as one of the most popular post-90s actors in Mainland China, 25-year-old Yang Yang (杨洋) is probably one of the first artists you see once you click on the trending page of Sina Weibo. 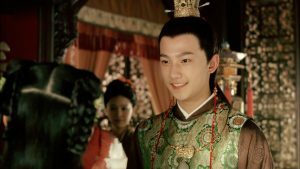 The actor was hand-picked by Li Shaohong (李少紅) to play the lead role of Jia Baoyu in the 2010 classical drama The Dream of Red Mansions <新红楼梦>, which was also his TV debut. Yang Yang was only 17 years old at the time. Yang Yang in “The Dream of Red Mansions” (2010). After achieving success in high-profile releases such as No Tears in War <战争不相信眼泪>, Yang Yang finally established himself as a bankable lead actor in the 2013 television drama The Four <少年四大名捕>, starring as the tech-savvy Wu Qing. Earlier this year, he was cast in the Chinese blockbuster Once Upon a Time <三生三世十里桃花>, starring opposite Crystal Liu (刘亦菲). Following the controversial rumor of him being one of the highest-paid actors of his generation, the “are they, aren’t they” interactions with his Just One Smile is Very Alluring <微微一笑很倾城> costar Zheng Shuang (郑爽), and his dating rumors with f(x) member Victoria Song (宋茜), Yang Yang’s presence in social media increased significantly, becoming the summer’s “screen-swiping prince.” More and more information about his pre-celebrity past has been leaked to the public, trending on social media. Yang Yang, a dance graduate at the People’s Liberation Army Arts College, has always dreamed of being a professional dancer. Yang Yang obtained number-one grades during the second year of his arts college, and represented his school in many international competitions. 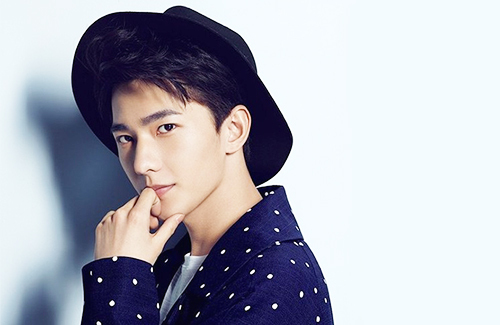 According to rumors, Yang Yang got so popular at his school that he became known as one of the “scenic spot” of the army arts college. Female students would spend an entire day waiting in line to see Yang Yang perform, becoming a must-see “scenic spot” for college tourists. Yang Yang hasn’t commented on this rumor at all, but there’s no denying that we can expect great things from Yang Yang in the future. althought i didn’t know him before this, and just looked him up. he is indeed extremely handsome. no wonder…but i don’t like how they dress and style every single star like the korean ones, i know that’s trendy but they retain have their originality and come up with another style. very pretty but can he beat Rain?